It was noticeably (and literally) quieter yesterday. I actually heard my phone when it went off. The first two days the cacophony was awesome. brief meeting with Keiron from Book Depository, and a saunter round to inspect the stands I hadn’t already looked at, very much with a view to how well are the marketing themselves, rather than what was on offer. So I have an aspiration now, I stopped by the Hachette ‘stand’ and while I was there had a chat with friend Susan Howe who works for Orion and was on the stand opposite. 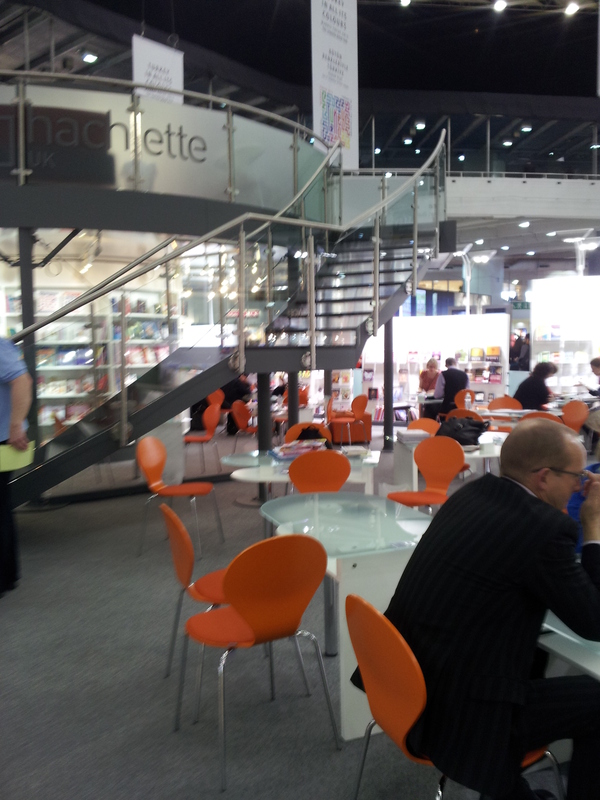 The thing is, Hachette bring their own BUILDING. It’s a bit like the inside of the Tardis or something from Torchwood, and I want one! This entry was posted in Arachne Press, Publishing and tagged Envy, Hachette, IPG, LBF by Cherry Potts. Bookmark the permalink.